Welcome back to my grand Canadian tour! If you missed Part 1, I hope you look back and find some delicious highlights from the western provinces, including Saskatchewan, which is my home for now. This time we’re headed east, to the provinces where a majority of Canadians dwell. Ontario I have been to in person, while Québec I have not…yet. Let’s peek at what each province has to offer. The Canada I knew first was found in rural northern Ontario, where my grandparents lived when I was a child. Wild blueberry picking and my first fishing expeditions happened with my grandfather there–far from the bustle of cosmopolitan Toronto. Though blueberry bush and roadside wild strawberries loom large in my childhood memories, stopping to explore farmers markets across the province would be a top priority. 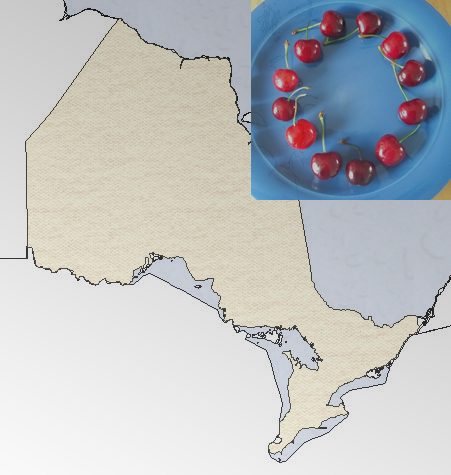 The further south one goes in Ontario, the more likely it is to find local orchards that grow apples, peaches, plums and cherries. Some day I would like to drive all the way across Ontario, starting at the Manitoba border, curving over the tops of the Great Lakes, stopping in Sioux Lookout for old time’s sake, and then continuing south and east toward Toronto. After that, Ottowa would need to be explored before crossing into Québec next door. Beyond knowing that a majority of people there speak French, I am still not well acquainted with the most populous province in Canada. But I’ve been waiting and hoping to visit Québec for many years, eager to explore the architecture and the restaurants, as well as wishing to experience what it’s like to be immersed in a Francophone world. I’ve discovered that I like poutine and tourtière in recent years; to have those signature Québecois dishes there and sample sweets from authentic pâtisseries would be amazing, je suis sûre. I hope you’re join me again for part 3 of this series in the middle of the week. 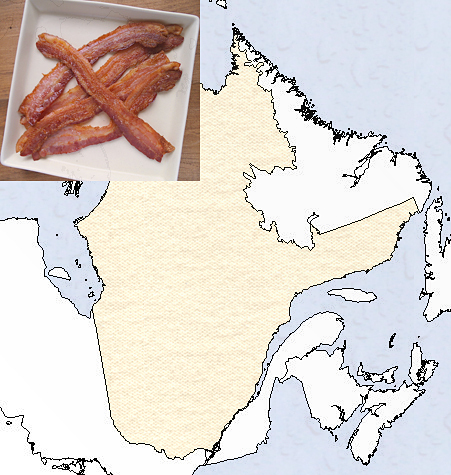 We’ll explore the east coast as we conclude this food-centric Canadian tour on July 1. Your Touring Canada series of posts is a great idea! I love it. Thanks for including a link to my Wild Blueberry Coffee Cake. You’re very welcome! I was happy to find such a yummy recipe from your part of Canada!